Includes The Avenjet and Thanos's Rocket Boots. 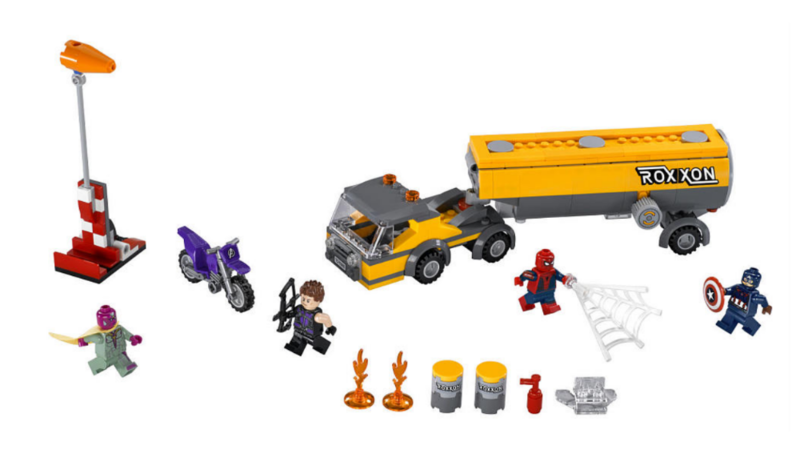 Includes Black Panther's Jet, Motorcycle and TASK FORCE Truck. Apparently Marvel said Cap 3 merch will have a larger female presence. Hopefully this means we get Black Widow and Scarlet Witch in multiple sets and there is the potential that we could get Agent 13/Sharon Carter in sets. I think it's pretty doubtful that we'll see Agent Carter or Agent 13 any time soon. I'd say we just get Black Widow and Scarlet Witch with a bit of room for speculation as to whether or not Wasp will be in costume by then. I don't think that news affects the Lego end of things nearly as much as it will Hasbro and the action figures. Hopefully it'll make Black Widow accessible for once, though. I skipped out on her last time because the Quinjet was too expensive, and now I may do it again because the Quinjet is too expensive AGAIN. Hopefully she'll be in the always present $20 set or a slightly more expensive set. Also, we got Thor three Times in a set over $50 (Hulk Breakout, Hulk Lab Smash, Quinjet) before we got him in a $20 set this year. Widow has been in 3 sets over $70 (Quinjet, New Quinjet, Helicarrier) so hopefully the trend will continue. as i've heard rumors she may be introduced. Hopefully we hear news on how many sets we are getting soon, as would be easier to speculate how the figures would be spread out. I hope we see Agent 13 in one of the Civil War sets. While another Black Widow and Scarlet Witch is more than welcome, we did just get both in the last wave. It would be nice to get a few new Lego heroines instead of just the same old ones. Wasp would be great too, although she could just as easily be included in the Avengers Assemble sets along with Captain Marvel. this along with more spider man sets I guess. As usual no xmen lol I think this is Fox's fault though, they just cut the old movies from the iTunes store to make us forget they existed, seems like they did the same thing with xmen, I mean I read before that they have been nixing those lines from even the toy market itself in favor or the mainstream marvel figs. It's like Marvel wants Marvel licenses to fail so they could buy it out. Can't wait to finally add Vision, Wanda and Black Widow tho, and a new Iron Man and Black Panther off course! larger female presence across marvel would be good.... White Tiger anyone??? After hearing about the license for Civil War sets, I am really hopeful for new figs of Falcon, Black Panther, Crossbones, and Baron Zemo. I feel like Crossbones will only feature briefly in the film (like Strucker in AoU), so he may be less likely to get a minifig. But Zemo is a must since he is the central bad guy. I hope they fix Hawkeyes awful face print and hair. Looks absolutely nothing like him. It'll be interesting to see how or if they do Giant Man. Will he be like Groot or will he be a big figure? I'd say we will only be getting three sets, in the same way that Guardians of the Galaxy only had three sets, but they'll probably a bitter figure heavy. You'd probably be looking at the same kind of price points too (£20, £45- £50, £70). Spider man sets are a given, so we may end up getting some comic book style versions of new hero like Black Panther etc who've shown up in Ultimate Spiderman. And considering DC is due a new D2C, who's to say that Marvel won't get a new D2C thats tied in with Civil War too? I guess. But even though they are the same person, Giant Man and Ant Man go together better than Bonnie and Clyde. You just can't have one without having the other. So for long time Comic Book fans of Marvel Movies we've seen Giant Man coming since they announced Ant Man. And considering DC is due a new D2C, who's to say that Marvel won't get a new D2C thats tied in with Civil War too? 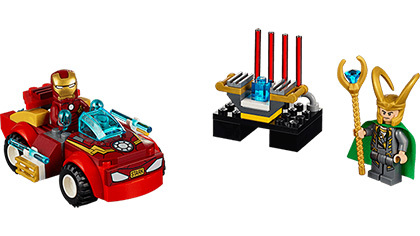 I doubt they will do a D2C Marvel next year, as the Helicarrier blew the living daylights out of everyones Lego Budget. 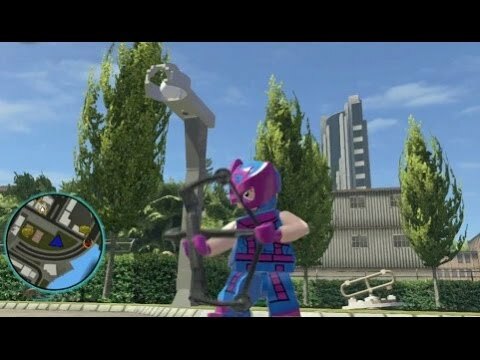 Well if Lego can make and sell sets featuring A God with a Magical Hammer and an evil floating bobblehead, I don't think it would be to crazy to get an Archer in a purple cat cowl eventually. Oh. Yeah. That should happen. I would flip out. Although Lego would never be able to do that. 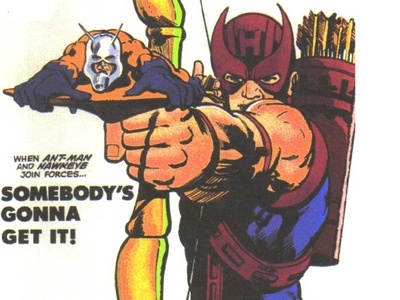 Wow, I just read the article saying that Ant Man will shrink and ride on the arrow. That is amazing!!! But even more amazing is that it obviously means, Ant Man micro figure!!!! That will be iconic in the movie kinda like the Hulkbuster and Vision from AoU. Now, I'm even more excited knowing a proper Ant Man micro figure rendition is coming!! !